– Eric Jenkins talking about how he got an upset win over Matt Centrowitz at yesterday’s New Balance Fifth Avenue Mile. 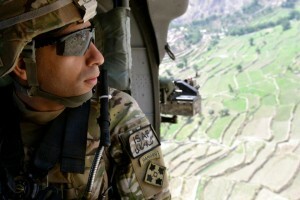 Jenkins, Centro then COLBY ALEXANDER?!?? 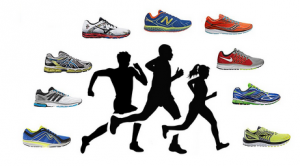 Will running 1 mile every day improve my stamina? People asked me how fast I ran and then got mad at me when I told them 7:00/mile. I'm not fast anymore. LRC Eric Jenkins (3:49.4) & Jenny Simpson (4:18.3) Win Fast, Thrilling Races at 2016 New Balance Fifth Avenue Mile Jenkins took down Olympic champ Matthew Centrowitz (3:49.5) at the line as the winning time was faster than what Centro ran to win 1500 gold in Rio. Simpson prevailed in a duel with Great Britain’s Laura Muir (4:18.4), edging her by 0.1 of a second at the line. Looking Ahead To What The Biggest Meets Of This NCAA XC Season Will Be A list of the biggest meets of the season along with which schools will be there. 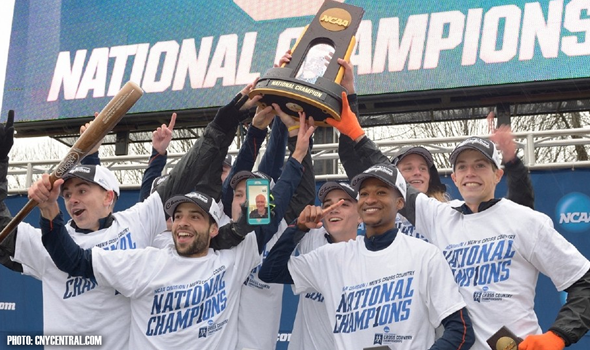 NCAA XC Champs History Not On The Side Of Top-Ranked Syracuse Men While Syracuse is favored for returning 4 of their top 5, historically, when there is a close finish like between Syracuse and Colorado last year, it is the runner-up who does better the next year. Analysis Of Past NCAA XC Champs Points Towards New Mexico Women Dominating Again Historically, teams that dominate as much as New Mexico did last year always finish 1st or 2nd the next year. Usain Bolt Battled A Serious Infection When He Completed The “Triple Triple” In Rio No, it wasn’t Zika. Bolt had an infection caused by a painful abscess in one of his teeth. Bolt’s Rio Fling Says He Was “An Olympic Champion In The Bedroom” She also said he took a break to take a phone call from his mom. 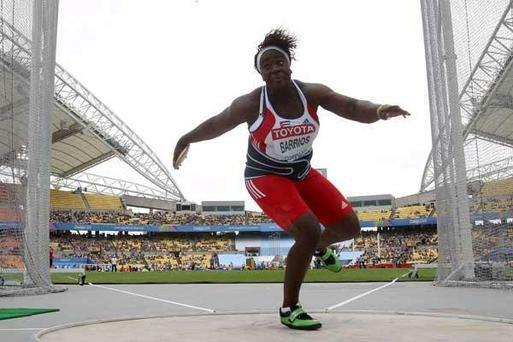 Arrest Her For Selling Stolen Goods: Cuban Drug Cheat Yarelys Barrios Ordered To Return Her 2008 Olympic Discus Silver, But She Already Sold It On Ebay She was caught in doping re-tests, but beat the IOC to it by selling her medal in June for $11,655. 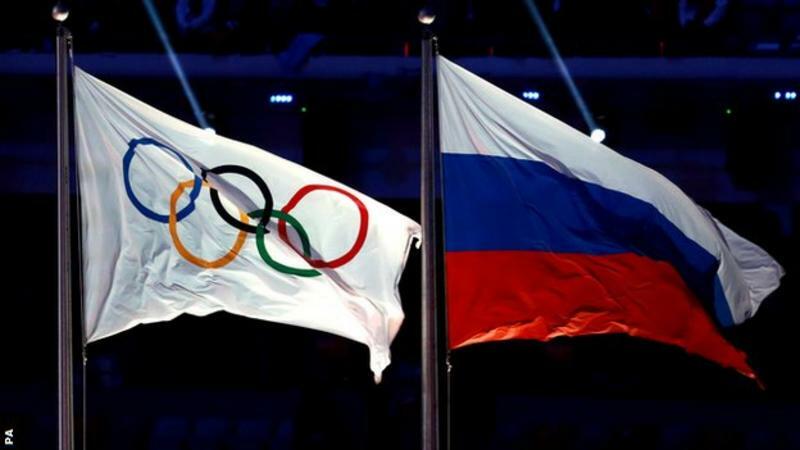 IPC Will Not Allow Russians To Compete At The Paralympics As Neutrals As More Than 175 Appeals Dismissed A group not complaining about all the doping bans is the lawyers. Reportedly, 34 new lawsuits have been filed against CAS. Indian Wrestler Refuses To Accept Upgraded 2012 Silver Medal In Honor Of The Late Russian Let’s be real; he was probably doping too. 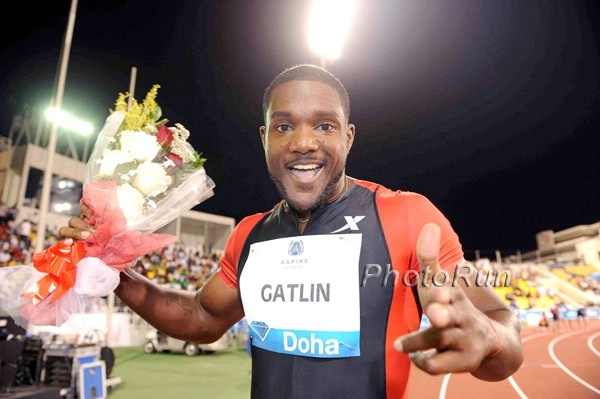 Justin Gatlin Says He’s “Hungry For Next Year” Gatlin is looking forward to 2017 Worlds in spite of the fact that “the Uk media has not been the most kind” to him. A Look Back At The Second-Oldest T&F Record: The Men’s Hammer World Record Turned 30 Years Old Yesterday In 1986, the Soviet Union’s Yuri Sedykh threw 86.74m. Only one other person has ever thrown over 86m. 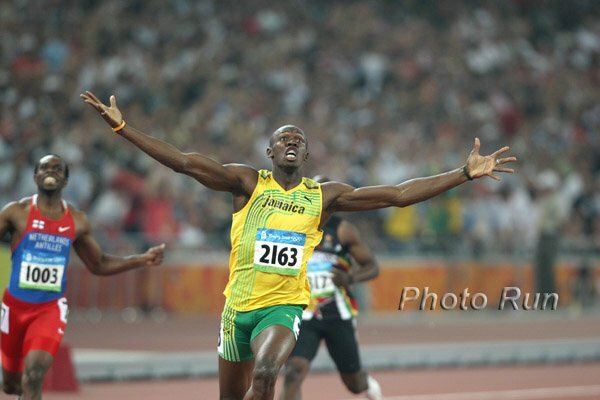 The Michael Jordan Of T&F, Usain Bolt Will Be As Marketable In Retirement As He Is Today An interesting thought – Bolt would take an estimated $18 million pay cut if he became the highest paid NFL wide receiver after retiring. IAAF First Impressions Q&A With Tajikistan Hammer Thrower Dilshod Nazarov In Rio, Nazarov won Tajikistan’s first ever Olympic gold. 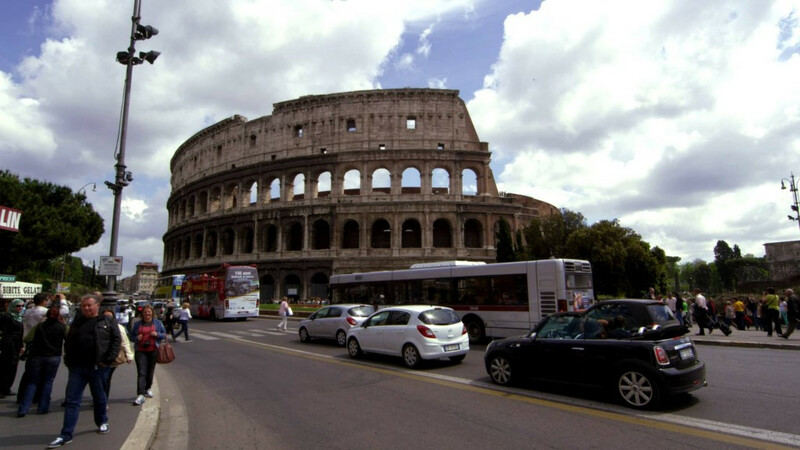 Survey Says More Than Half Of Rome Residents Support The 2024 Olympic Bid Only 36.2 percent said they were against it. The Power Of Gold: After Four Decades Without Electricity, Faith Kipyegon’s Home Village In Kenya Gets Power For The First Time Thanks To Her Olympic Gold Medal Her father pleaded to the Kenyan president to give him power so he could watch his daughter compete. 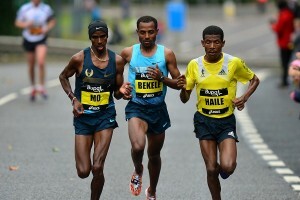 Sunday: World Half-Marathon WR Holder Florence Kiplagat And Rio 10,000 4th Placer Alice Aprot Facing Off At Tilburg Ten Miler (translated) Former World marathon champ Abel Kirui, former World XC champ Japhet Korir, Rotterdam Marathon champ Abera Kuma and WJ 10K champ Rodgers Kwemboi lead the men’s race. 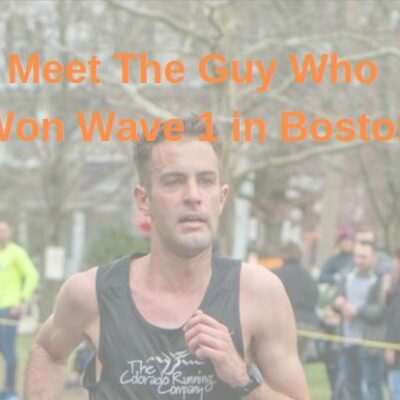 Monday: Deep Fields Set For USATF 20K Champs With Luke Puskedra, Shadrack Biwott, Christo Landry, Matt Llano And Nick Arciniaga The women are lead by Aliphine Tuliamuk, Lindsey Scherf, Janet Bawcom, Brianne Nelson and Tara Welling. 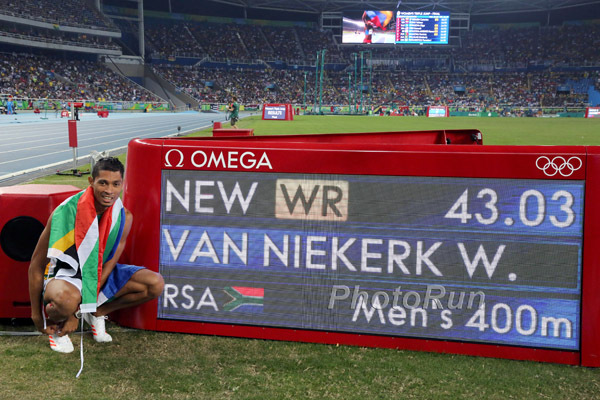 Good Read: Wayde Van Niekerk Says It’s Still “Unreal” To Him That He’s The WR Holder Van Niekerk’s time and Rio gold have given him a lot of confidence as he’s talking about running more of the 100 and 200 and “chasing down” Usain Bolt‘s times. Andre De Grasse’s Coach Thinks His “Naivety To The Sport” Is A Strength De Grasse was barely training back during the last Olympics in 2012 and can’t even remember watching. 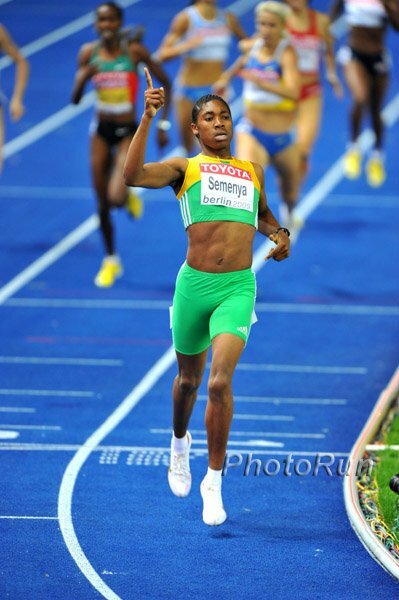 South African Sprinter Who Trained With Usain Bolt This Year Wants To Get Under 20 Seconds In 2017 Akani Simbine ran 20.16 before Rio and finished 5th in the Olympic final. The Diamond League Series Win Could Facilitate Keni Harrison’s 100H/400H Double Aspirations For 2017 Worlds Winning the DL gives her an automatic entry to Worlds so she could focus on the 400H instead at USAs. Japanese Olympic Committee Clears Tokyo Bid Leaders Of Bribery, Saying The $2.3 Million They Paid To Papa Massata Diack’s Consultancy Company Was Legitimate That’s good, but we’d like to hear the same conclusion come from a more neutral source. Departing adidas CEO Herbert Heiner Reflects On His 15 Years At The Helm During his reign, their market cap has gone up nearly 10 x – from $3 to $30 billion. 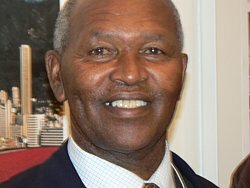 Kip Keino Gets Questioned For Several Hours By Kenyan Police Unlike his fellow NOCK officials, Keino wasn’t arrested or charged. New Zealand Lawyer Leading Team Of Experts To Revamp The IAAF Governance Structure The group is proposing a whole new constitution and restructure which will see a new independent integrity and anti-doping unit and more voice for athletes. 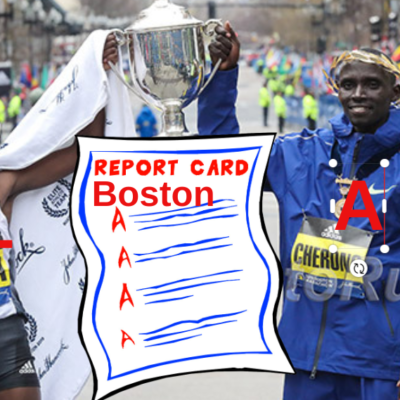 LRC The Most Expected And Unexpected Medals For Team USA In Rio, The Women That Did And Didn’t Make History In Rio, Ezekiel Kemboi’s Retirement Didn’t Last 24 Hours, And How To Get Rich In The Non-Profit World A look back at the week in the running world. Tomorrow: Look Back At The History Of The ISTAF Berlin Meet Ahead Of The 2016 Edition Their mascot is entertaining, no doubt. 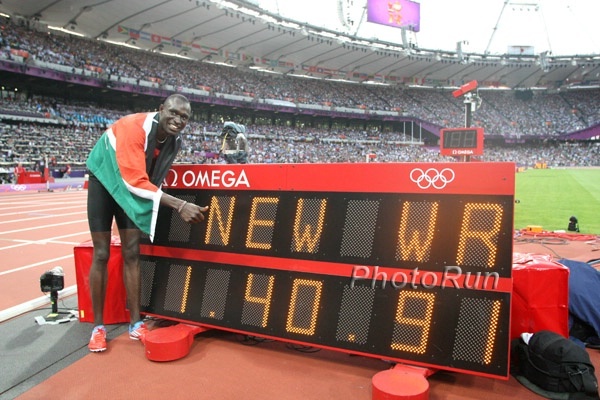 *Athletics Weekly Article Over 200,000 applied for the night of the 100m final. Three More Russian Medalists DQed In Re-Test Of 2008 Beijing Samples Two weightlifters (shocker) and a 4 x 400 runner. Malcolm Gladwell House Of Run Podcast Where He Talks About The Olympics The best-selling author explains why he prefers the World Champs to the Olympics. Mikey Brannigan Lands In Rio For Paralympics The 1,500 final isn’t until September 13th. Vin Lananna Calls Coaching Team USA In Rio The Most Rewarding, Exciting And Tiring Event Of His Career Personally, we’d think winning an NCAA XC title would be more exciting for a coach. Q&A With Michelle Carter’s HS Coach Carter was a great babysitter for the coach’s kids. CNN Takes A Look At The Scandal Hitting Kenya’s National Olympic Committee From selling Nike kit to staying in a favela, Kenya’s got corruption covered. MB: Aisling Cuffe Signs With Saucony She’ll join Ray Treacy‘s group in Providence, which includes Molly Huddle and Emily Sisson. 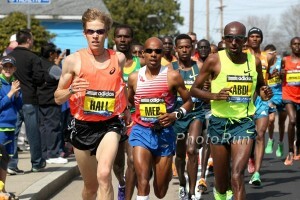 Syracuse Alum Martin Hehir And 2:35 Marathoner Katja Goldring Join NAZ Elite Both athletes have already done well at the Olympic Trials as Hehir was 7th in the 10,000 and Goldring was 9th in the marathon Trials. Aussie Steepler And Florida Alum Genevieve LaCaze Gives Advice On How To Run A Great Steeplechase LaCaze took 18 seconds off her PR this year to set a 9:14 Oceania record at the Paris DL meet. Sad News: RIP Former Adams State Great Dan Maas Maas, a former Olympic Trials finalist, and his wife died in a car crash last week. Syracuse Men Are The Pre-Season Favorites In Opening NCAA XC Coaches’ Poll Oregon ranked #2 and NAU, Stanford and Colorado 3-5. Defending Champions New Mexico Women Lead NCAA Pre-Season Poll Colorado, Providence and Oregon are ranked 2-4. 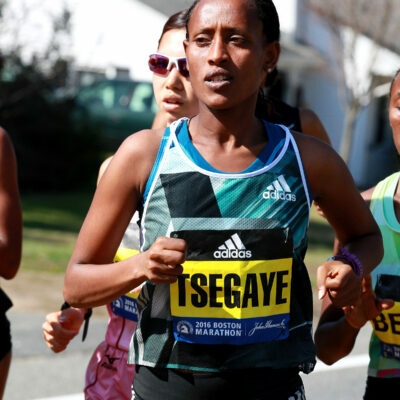 Ethiopia’s Shure Demise Will Defend Her Scotiabank Toronto Waterfront Marathon Title In October Her debut came in January 2015, but Demise has already racked up four elite marathon finishes and returns to Toronto as a vet. 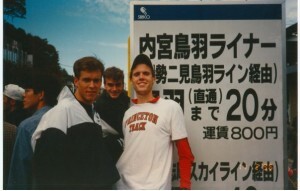 Local Sports Columnist Who Has Covered Matt Centrowitz Since High School Writes About What It Was Like To Watch Him Win Olympic Gold Bill Wagner says it was “hard to not become emotionally invested” in Centro’s race. 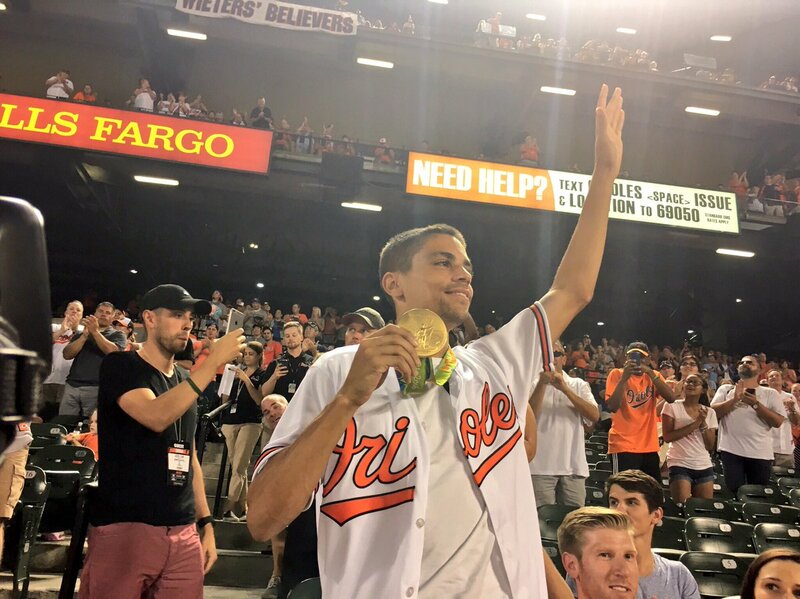 Matt Centrowitz Shows Off His Olympic Gold Medal At A Baltimore Orioles Game He showed up late, however, and didn’t get to throw out the first pitch and then admitted he grew up a Yankees fan.